Do you feel comfortable trusting your intuition and following through with life choices based on your inner guidance? Maybe we’ve gone too far down a path and don’t feel like that inner nudge to change careers or do something else is logical. Most of the time our intuition is not logical, which can make it feel really scary to trust. We can’t see it, taste it, smell it, or touch it, but our intuition is the most valuable sense we have. It’s a direct line to our spirit and, when we listen and go with it, we give our lives permission to unfold in beautiful and miraculous ways. Our inner voice is our genius, but very few of us feel we can rely on that inner voice. So we stick to what we know. Which means we may stick to disenchantment, struggle and doing things that make us appear to be fitting in with who everyone thinks we should be but it doesn’t feel right. You probably have situations in your life where your intuition really served you. It may not have lead you down the easiest path, but the most rewarding paths are seldom the easiest. Many of us know what our intuition is telling us but don’t see how to do it or apply it to our life, so the inner voice gets quieted like an unruly kid in a Sunday morning church service. The best thing I did was let the unruly kid have a say in my life. It’s not always the easiest thing to hear – our truth – but when we listen to it and follow it, it leads to wondrous places, fulfillment and surprising manifestations! And, of course, it leads to miracles. 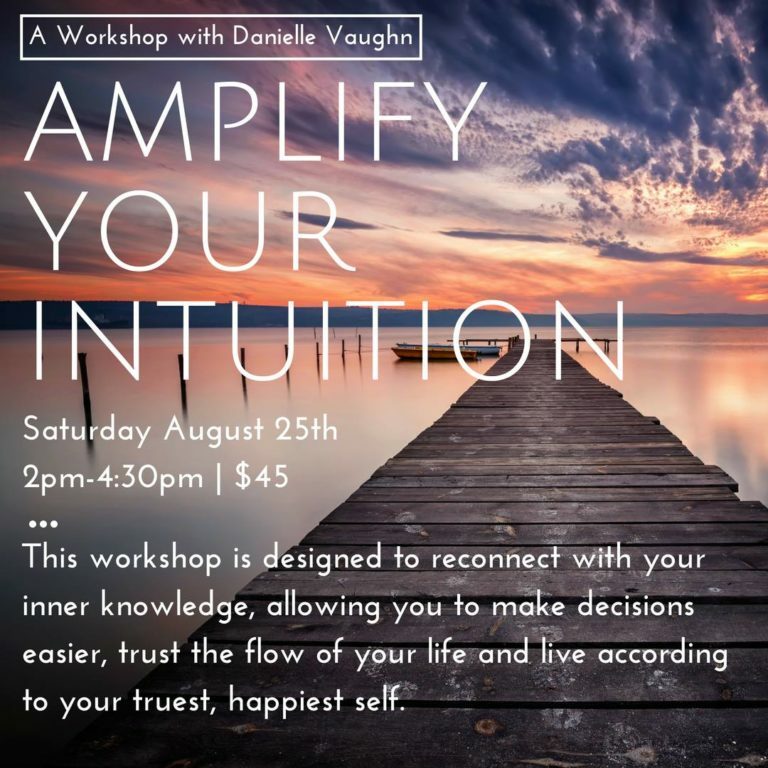 At my workshop next Saturday we will talk about our intuition, the best way you can hear yours in this loud, loud world, and I’ll share some techniques with how to know when it’s your intuition vs. your ego talking. It will be a wonderful, heart opening afternoon. I hope to see you there! Home >> General >> Do You Trust Your Intuition?